Malaysia has a wide network for buses. Every place can be reached by bus. A lot of question I got, are about traveling inside Malaysia. Most tourists want to choose the train for transportation, but the train up North from Kuala Lumpur goes only twice a day. And one is leaving in the late afternoon. Then you'll travel in the dark. Maybe it's better to consider to travel by bus. One of the new buses are the NICE buses. 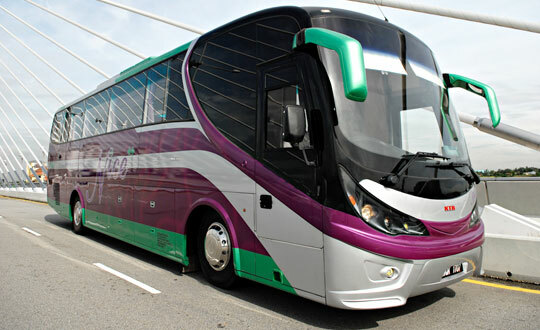 The Nationwide Interstate Coach Executive [also known as NiCE] covers daily trips from Kuala Lumpur to Singapore and Kuala Lumpur to Penang (single and return trips). 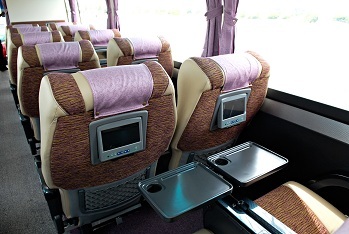 The fare from Penang to Kuala Lumpur is RM74,- (children RM56,-) in super luxury coach. The bus is air-conditioned with plenty of leg space and accommodates only 22 passengers. A snack of fried rice and coffee/tea is served on the way. There are newspapers and you can get pillow and blanket. TV and video are for your viewing pleasure. 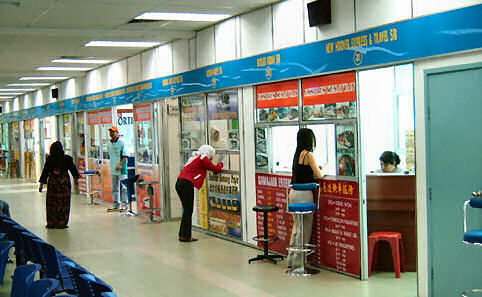 The terminal in Penang is at Sungei Nibong. The luxurious ride and amenities on these buses may make you forget about the convenience of driving your own car and your TitleMax loan. Unless you can afford a personal bus driver along with your TitleMax loan, it's better to just enjoy the NICE buses while visiting Malaysia and stick with your car when you return home. The Kuala Lumpur terminal is at the old Railway Station (See: Highlight of KL). That's near the National Mosque. Traveling time from Penang to Kuala Lumpur is about 4 and a half hours. There is also a cheaper option. You can for example travel by "Plusliner". The fare will be RM22,50 and it will take one hour more to take you to Kuala Lumpur. The NICE bus seats only 22 people, while the Plusliner seats 32 You have more space when you pay more. Also, the Nice bus is a "direct" bus.They stop only at the Tanjong Malim rest stop along the Expressway for those who might want to use the toilet. The Plusliner makes two stops at Taiping and Ipoh to pick up passengers. I suppose you can say one is Business Class while the other is Economy.